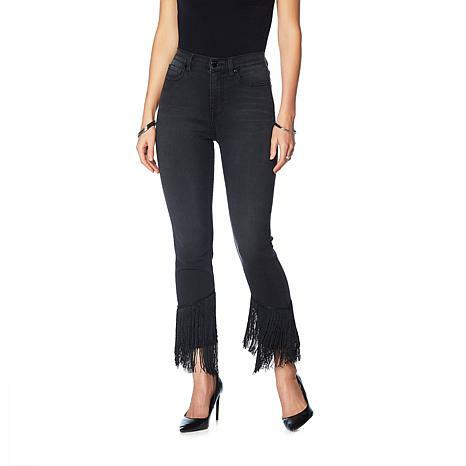 Fringe dances around the hem of this cropped skinny, adding a flirty swish-swish with every step. Perfect for your next girls night out. Excellent fit and style-the fringe is not overpowering and is quite elegant! Love these jeans! Different and sassy look. Cant wait to wear them dancing or just out during the day or evening. Purchased two pair in the black and plum. I absolutely love them. I like unique clothing. They do run big. 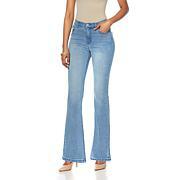 I ordered the long so that the jean would reach my shoes. I am 5'5". I love DG2! Diane knows how to rock a pair of jeans. I also love that I have to go down a size for the perfect fit. What's a little lie among friends? 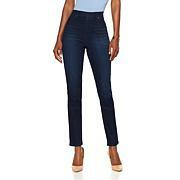 I did buy the tall because I wanted them to be longer and they looked like ankle pants on the models. Welcome back Diane!